Since receiving her BFA at Juilliard, Angela Pierce has enjoyed a rich career in theater, film, and television. The Seattle Theatre review had this to say of her portrayal of Blanche Dubois in a revival of A Streetcar Named Desire: “I’m thoroughly convinced that, after watching Pierce make every Williams line feel like he wrote it just for her, this gifted actress could make the phone book sound like Shakespeare.” Angela has appeared in episodes of Law & Order, Medium, Criminal Minds, Private Practice, Lie to me, and 30 Rock. She has also starred with Al Pacino in Barry Levinson’s You Don’t Know Jack for HBO. In Unburden, Angela heroically assumes a mother’s heavy heart to become the life force of the story. 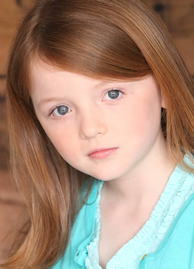 Quinn McColgan, (Callie) 10 years old, from Millsboro, Delaware got her big break at age 7 co-starring with Kate Winslet, as her daughter Ray in the Emmy award winning HBO series Mildred Pierce. Since then, she has developed an impressive resume that includes significant roles on episodics including CBS’ Unforgettable, ABC pilot Dark Horse, the PBS pilot The Odd Squad, Nickelodeon’s Team Umi Zoomi, and much more. With several films, commercials, voiceovers, and print campaigns to boast, this pint sized performer’s star is quickly rising. Paul Hickert dreamed of playing professional sports as a child. But, many years after his brief stint in the NFL and Arena Football was over, coincidence introduced Paul to acting, which led him to create new dreams and goals. 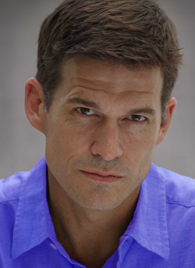 Now, after several years of training and working as a professional actor in New York City, Paul is gaining momentum and getting recognition in the industry. In the last year he has appeared in “Tower Heist”, “One Life To Live”, “The Onion News Network”, Rockstar Games’ “Max Payne 3”, the new NBC series “Do No Harm” and has had many lead roles in various independent short films. And now, he is very grateful to have had the opportunity to work with such an experienced and talented cast and crew, to help bring this story to life.